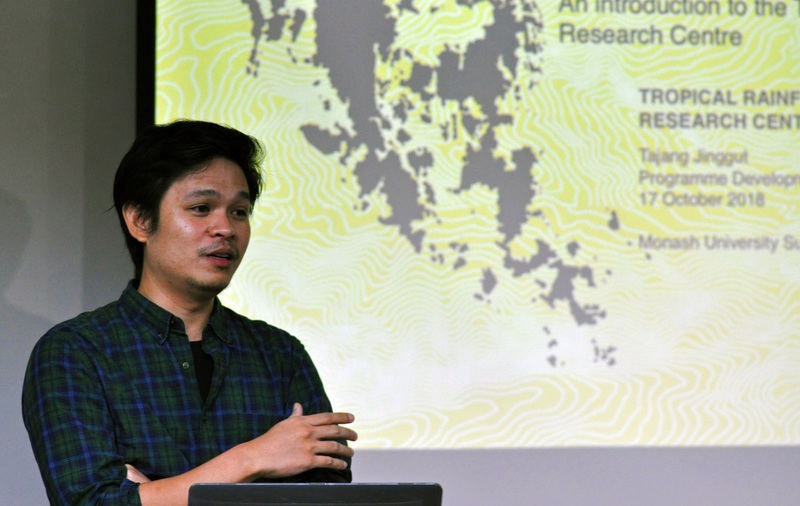 The Tropical Environmental Biology team were pleased to welcome back our alumnus Dr Tajang Jinggut to deliver a guest talk to the Ecosystems and Bioresources class. Tajang completed his PhD in the School of Science studying freshwater invertebrates and leaf litter decomposition in streams across Borneo. Tajang now works as the Partnership Development Manager for the Tropical Rainforest Conservation and Restoration Centre (www.trcrc.org). Tajang's work involves developing, designing and managing forest restoration projects in Peninsular Malaysia and Sabah with an emphasis on applying scientific approaches and using seeds from native tree species to enhance the success of these restoration projects. One of the best aspects of teaching in a University is to hear about the interesting jobs our students end up doing after they graduate so thank you to Tajang for sharing your experiences and knowledge with our current staff and students!